Think Tank is responsible for well-thought-out ergonomics, which users will tell you are in a world of their own. The StreetWalker makes brilliant use of space, managing to fit a pro DSLR or CSC with 70-200mm lens, as well as up to five additional lenses, or four lenses and a second body. The main compartment, which takes up the whole bag, can be accessed quickly and easily via the front panel. For those who like to edit on the go, you’re able to stow a 10in tablet, and like many others in test, you can hitch a tripod to the outside of the bag – much easier than lugging it around in your hands. The shoulder straps feature extra padding, and the four external pockets, two on the side and two on the front, provide plenty of room for your smaller accessories. 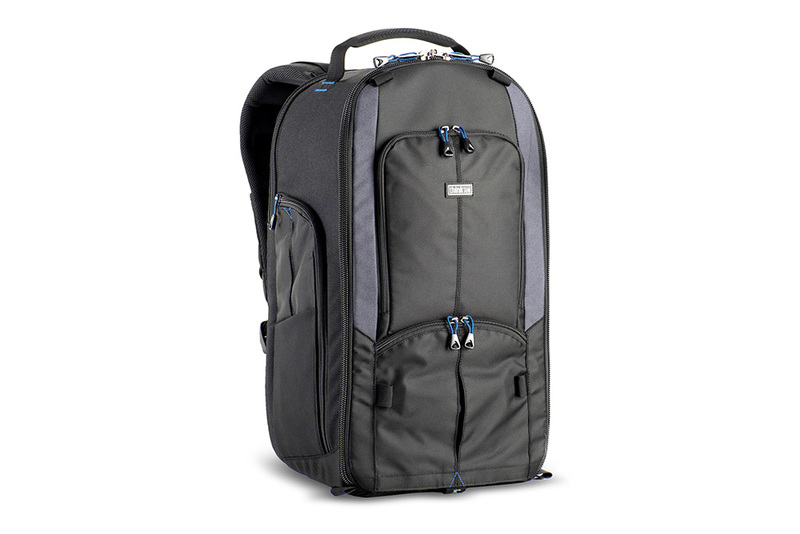 It’s crafted from ballistic nylon, closed-cell PU foam and high-density velex, which makes it an incredibly durable option for your average photographer on the go. Find out more at the Think Tank website.